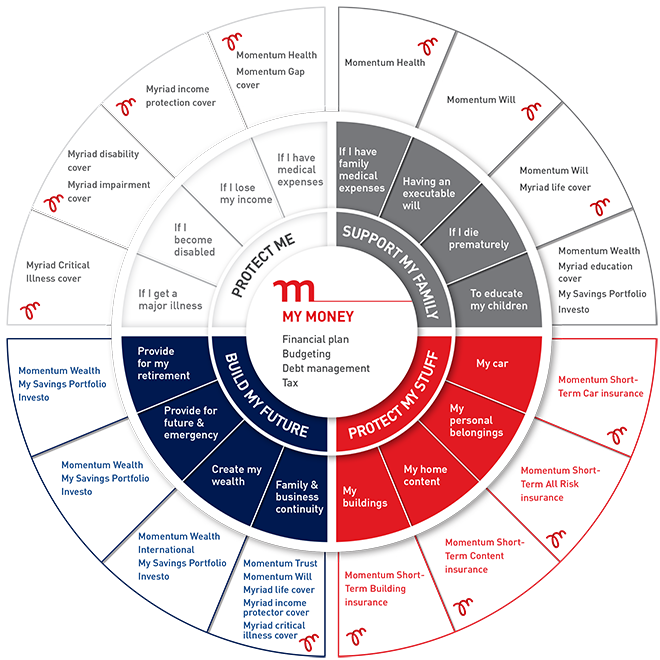 Accredo Financial Solutions is a Momentum franchise which provides financial planning services alongside specific Momentum offerings. Our financial specialists ensure you receive holistic solutions tailored to private and commercial needs. To see which Momentum offerings are available, please refer to the below chart.